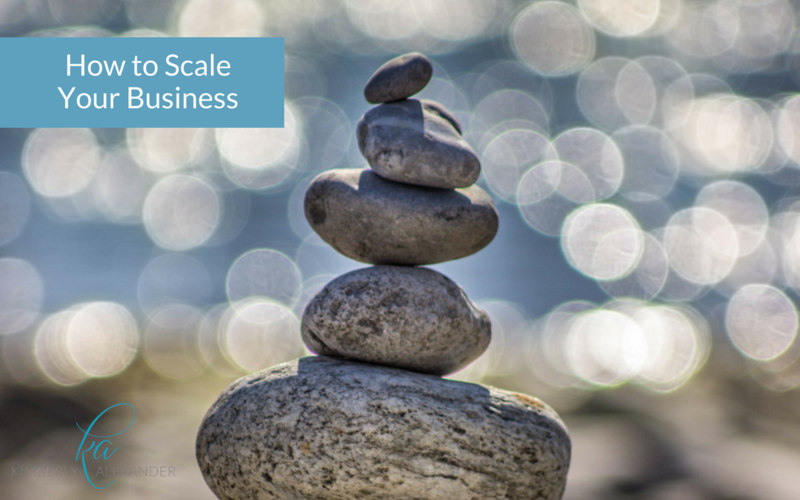 How to Scale Your Business | Kimberly Alexander Inc.
As an entrepreneur, there is only so much of yourself you can offer. And if your business is built on mentoring, coaching and teaching, you will quickly get to a point where you cannot continue building your brand unless you figure out a way to replicate yourself. So learning how to scale your business is critical if you want to reach a broader audience. Here’s how to do it. If you have already identified your foundational platform you have all that you need to build out multiple service offerings based on the same learning. Your audience will have a variety of budgets and you should build out programming that allows you to reach three different price points. This can, and should, all be based off your main platform and the price points will determine how deep you will go and how much of your time your audience will get. Your audience will want to learn from you in a variety of different ways, and this will tie in well with your price points. Some people are good with a $20 book while others will need a lot more support. You could offer a book as a starting point, then group programs at the next level, followed by one-on-one mentoring at the top of your price point. Basically anything that takes more of your time should carry a higher price tag. Within group programs, you have many different options. You could offer workshops, mastermind groups, virtual programming, retreats, licensing, or a program series. Whatever learning you offer however should all revolve around the same learning but present it in different ways. So how do you build it out? You want to offer a minimum of three levels in everything you do – beginner, intermediate and advanced. Your price point will change according to each level. For example, if you offer an online program you should offer three levels of support to meet three different price points. Each level should roll into the next, so if someone chooses level two they should get everything from level one PLUS everything in level two and so on. So in the example of online programming level one could be a watch at your own pace program. Level two could include the online program and include worksheets and group calls for additional learning. Level three could then include everything from levels one and two but add a monthly one-on-one call or meeting with each participant. Do you see how that works? By building deeper knowledge into each level of programming and offering each level at various learning options and price points you will give your audience the opportunity to work with you in the way that they want and at a price point that works for their budget. Remember to come in with a serving heart in everything you do. You don’t want everyone at level three. Some people will not be ready for it just yet. So give them lower level options first. If you serve them well at those levels, they will eventually graduate to your higher levels. In this way you can serve everyone that needs your brilliance without burning yourself out. You will also successfully scale your business to a much higher level than you could have were you simply offering your services one-on-one. So, before building out your pricing levels and options, go back to your foundational platform. What is your primary program? What do you and your brand want to be known for? Once you have identified that, you can evolve that particular programming and learning and scale your business to the next level. 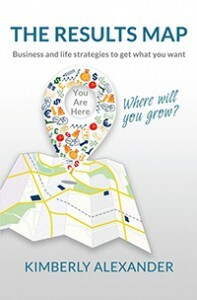 For me, everything I speak to and teach started with this book, The Results Map. My programs have evolved and provide much deeper insight than the book initially offers, but it is the foundational platform for my business. Pick one up for yourself and see how I got to where I am now. I am so glad i read this. without being coached yet by you, i am already seeing a plan here. I am excited about our next coaching session.